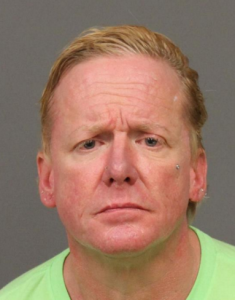 Police arrested a 48-year-old Grover Beach man for selling drugs out of a Paso Robles hotel on Wednesday. During a search of the Wine Country Inn, Paso Robles detectives found 16 grams of black tar heroin and six grams of methamphetamine. Detectives began investigating the case after receiving complaints of drugs being sold out of room five at the Wine Country Inn on Spring Street. Following a month-long investigation with Atascadero police assisting, officers arrested Paul Vernon Alley. In addition to finding heroin and methamphetamine, detectives found $4,200 in cash, scales and drug packaging material. Alley is charged with possession of heroin for sale, possession of methamphetamine for sale and possession of narcotic paraphernalia. Officers booked Alley in San Luis Obispo County Jail, where he remains in custody with his bail set at $25,500. There’s a reason I never venture north of 24th Street when I’m in Paso. The Wine Country Inn, what a pastoral and pleasant connotation the name brings. It’s hard to care about people like this anymore. There are too many of them, they are sucking us dry. But he’s not a Mexican farm worker so he’s all right by me! Good. Get that heroin and meth off the street! Not only is it ruining the lives of the people using, but it’s constantly affecting the victims they burglarize and steal from! Yes, I am certain this made a huge impact on a lot of addicts lives’ as well as burglaries too. Not.